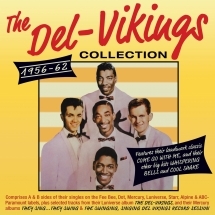 The Del-Vikings were a doowop and R&B vocal group whose hugely promising career was blighted by contractual and other personnel issues but who had major landmark R&B and pop hits like "Come Go With Me", "Whispering Bells" and "Cool Shake" along the way. 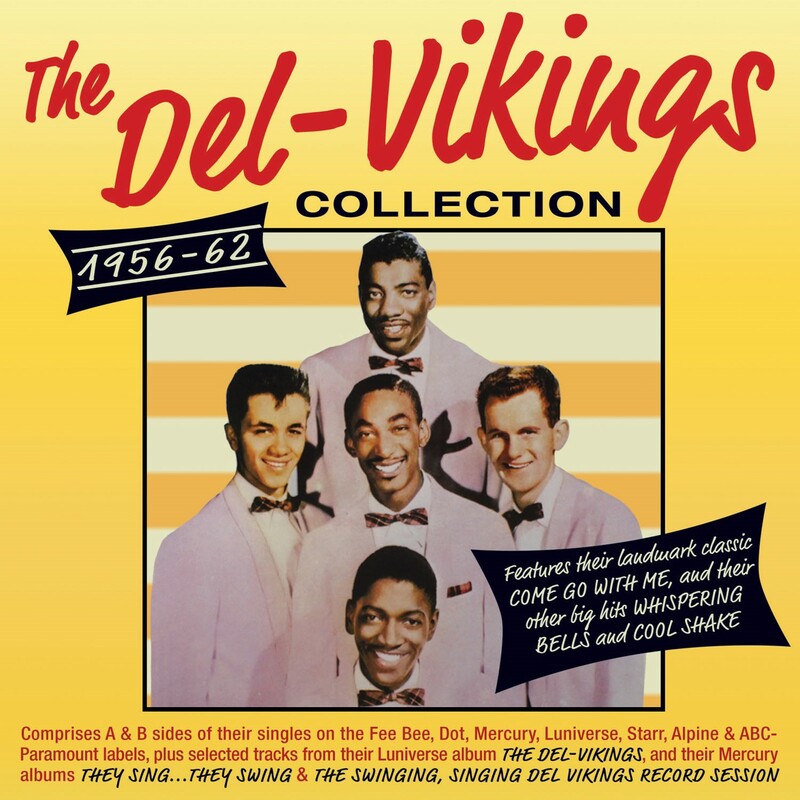 As Bruce Eder writes at www.allmusic.com "the story of the Dell-Vikings is one of the most glorious, complicated, and frustrating of any successful doo wop group in music history". The group consisted of serving members of the US Air Force, who shot to fame with their 1957 R&B No. 2 and pop No. 4 "Come Go With Me", which has become a much-played favourite. Subsequent management issues and fractures even resulted at one stage in two different incarnations of the group performing simultaneously. However, having had further hits they remained active into the '60s, and this great-value 60-track collection brings together A & B sides of their releases for a variety of labels - Fee Bee, Dot, Mercury, Luniverse, Alpine, Starr & ABC-Paramount - plus selected titles from their Luniverse album "The Del-Vikings" and their Mercury albums "They Sing...They Swing - Del Vikings" and "The Swinging, Singing Del Vikings Record Session". It naturally includes their hits, which along with their varied work across the years, ranging from pure doowop through to rock & roll and arrangements of Great American Songbook standards, underline the fact that they were one of the most talented outfits in the genre.